On Point is known for our custom design + build program; however, we also love helping clients transform their existing home with major remodel projects! 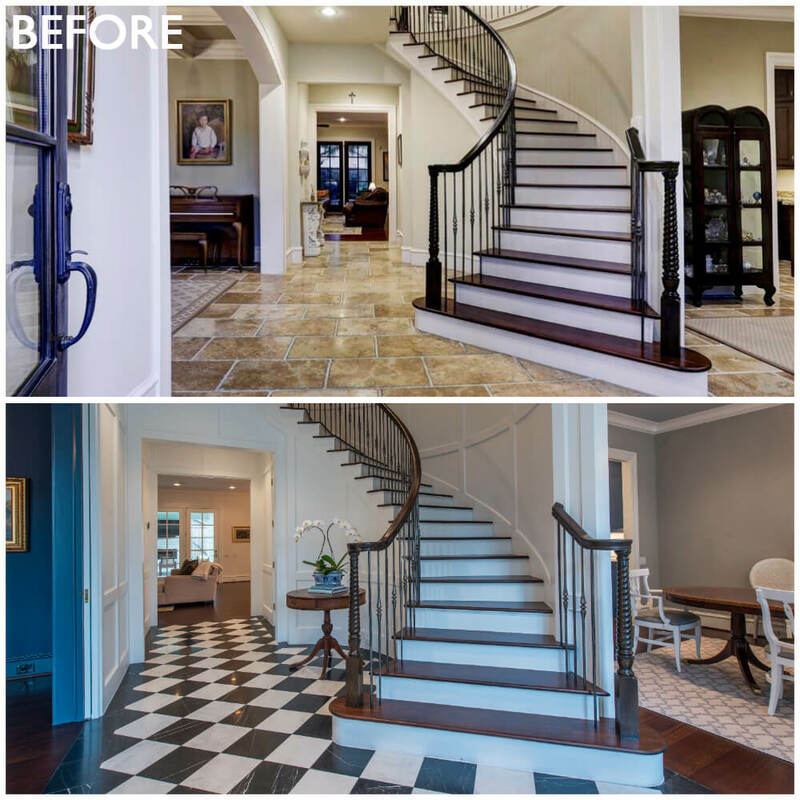 In this three-part series, we’re showing you the before and afters of this Briargrove home that needed a major facelift. On Point took on the challenge of updating this house without altering the overall footprint. We did update every surface, fixture and finish for the entire interior and exterior and came back and added a freestanding outdoor entertaining space complete with a wood-burning fireplace, surround sound, TV and ample seating. In Part 1, take a peek at the main living spaces. We replaced the tile with stunning black and white marble tile for a dramatic entry and added wainscoting for added texture in the space. We transformed the previous formal sitting room into a masculine study and office. We painted the box-beams on the ceiling and added built-in bookcases and a built-in desk. New dark hardwood floors replaced the old tile flooring. 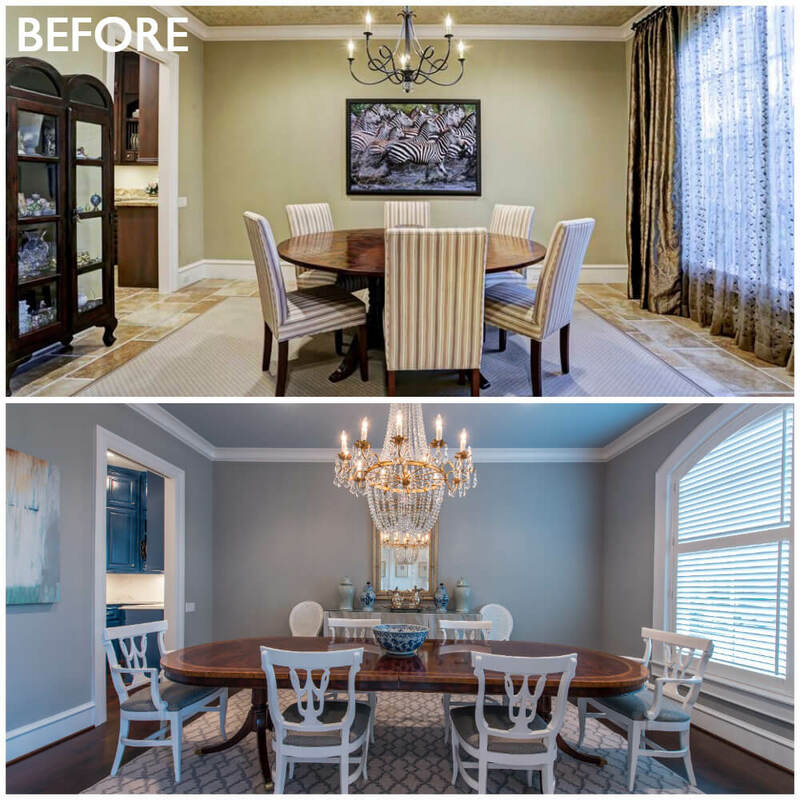 New dark hardwood floors carried through into the dining room which also received a fresh coat of paint and new gold and glass chandelier. In the living room, the existing hardwood floors were restained a darker brown and new built-ins with Emtek hardware were added on either side of the resurfaced white brick fireplace. The glass doors leading into the backyard were painted white and the ceiling fan was removed. Stay tuned for next week’s post to check out the kitchen! <-- National Women in Construction Week!